Beauty and function. That is all we want in our writing tools. Beauty and function. Surely you have seen plenty of pens that look great but when you pick them up the width or balance or performance fall short for you. With their funky grip sections, some folks might put the wonderfully made and brightly colored Lamy implements in this category. On the hand, there are plenty of functional but dull-looking writers like, I don’t know, maybe Fisher bullet pens or some of the more drab Parker 51 of days gone by. Anyway, I am not here to pick on the beauty or function of this, that or the other writing tool. 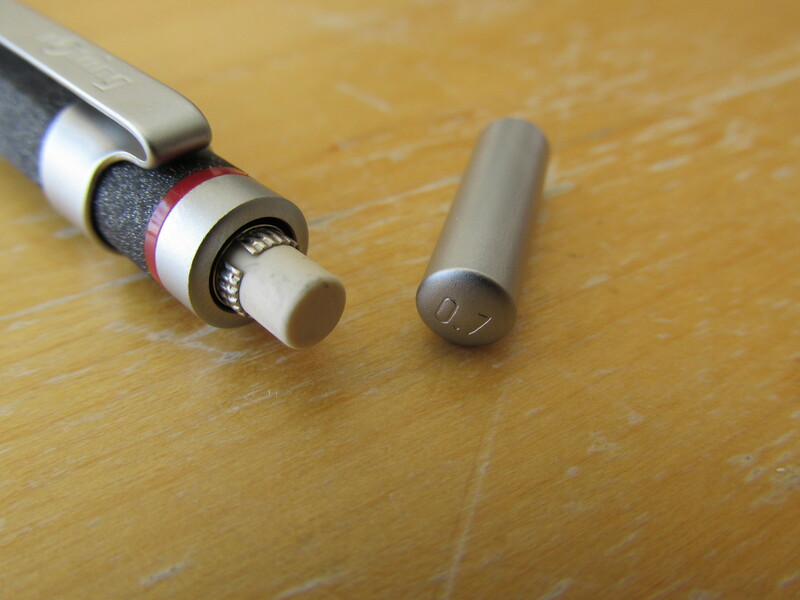 I am here to talk about the rOtring 600 Lava pencil because, for me, it gets a 10 out of 10 on beauty and around a 8 or 9 out of 10 on function. Let us talk looks first. 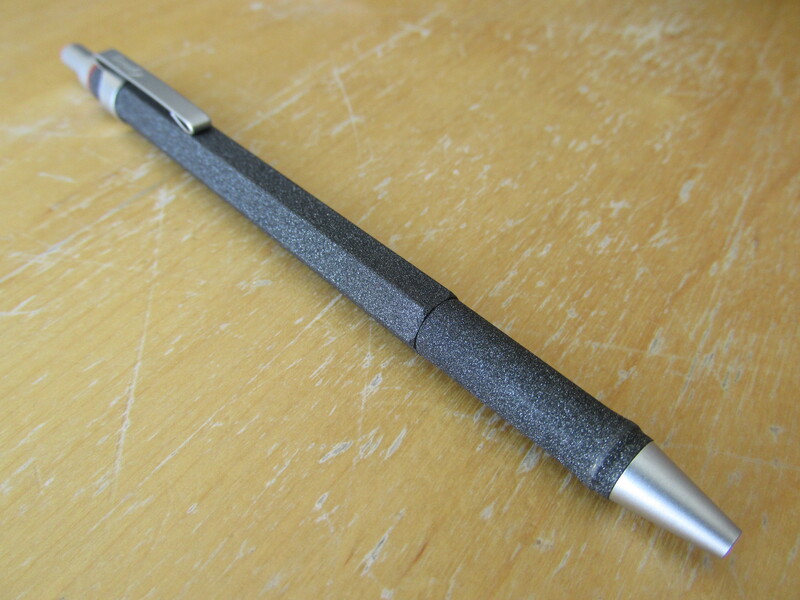 The lava finish that rOtring came up with is somehow flashy and understated at the same time. In the right light, the mildly rough finish produces a bit of sparkle. 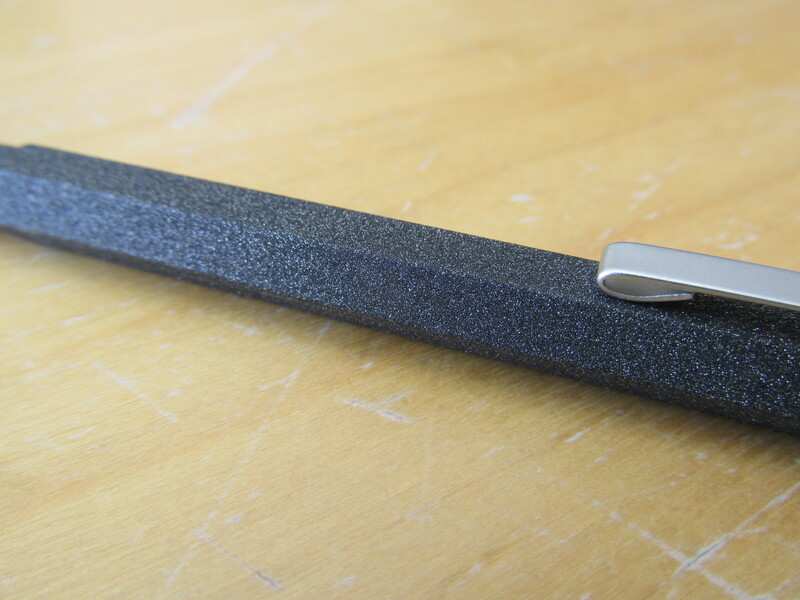 When it is not sparkling, the finish of the pencil body and the matte gray color of the clip, tip and knock compliment and contrast each other with such a perfect balance to a produce a look that is classic but all its own. I do not know jack squat about fashion, but the best analogy I came come up with is to that male movie star on the red carpet who is wearing a classic tuxedo but does so in a way that makes him just a touch spiffier than the rest. It’s a “you know it when you see it” sort of well-executed sense of style. 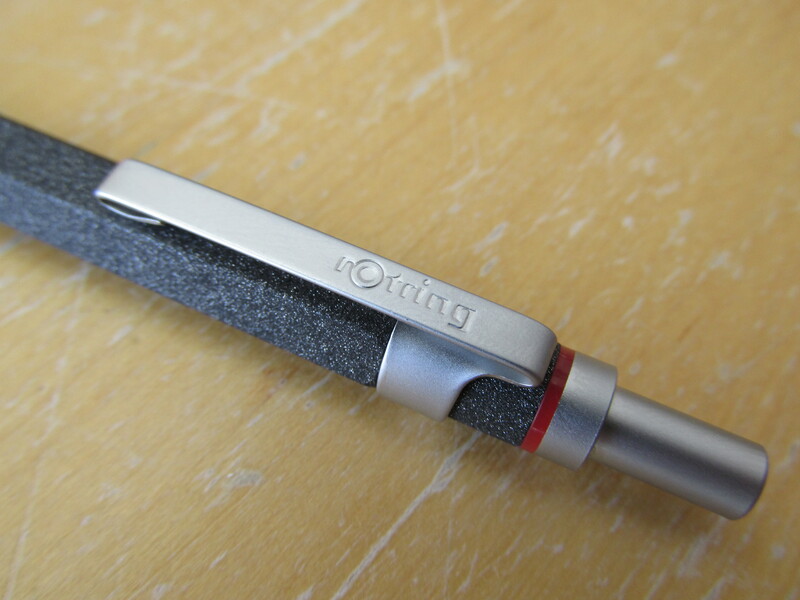 There is, of course, the trademark red rOtring band at the base of the knock. Maybe it works with the rest of the pencil or maybe it interrupts the overall look, but it is a rOtring so there it is. Function. The only minor drawback I have to say about the design of the pen that makes its function less than 100% perfect for me is the slightly too narrow width of the grip area. It is not noticeably thin and, importantly, the wider hexagonal body comes very, very close to compensating for the thinner grip. Still, I would have liked the grip section to be such a hair wider. Other than that, this mechanical pencil comes about as close to ideal as I’ve experienced. 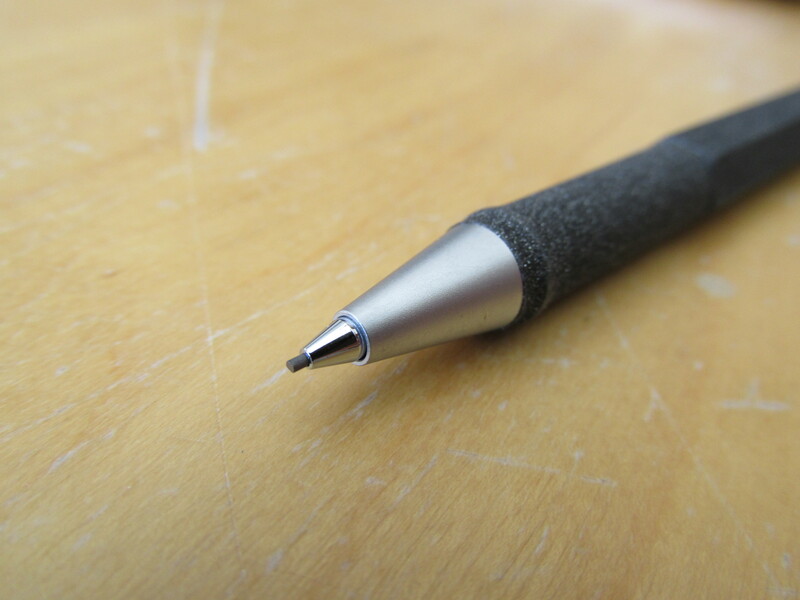 The slight heft of the pencil produces a sense of confidence and accuracy without feeling like a burden. Hidden within the cone-shaped tip is the retractable cone-shaped post making the pencil 100% pocket safe. The knock is the opposite of mushy or flimsy requiring the user to give it a definitive push to first deploy the post. Once the post is deployed, short and snappy clicks get you a nice length of graphite with two clicks to start and one click thereafter. Importantly, the clip is short so it does not interfere with your hand as you twirl the pencil looking for a sweet spot on the graphite. As is usually the case with mechanical pencil erasers, it is basically a rumor of an eraser but it works well for occasional use. As you can see, I’m a fan. 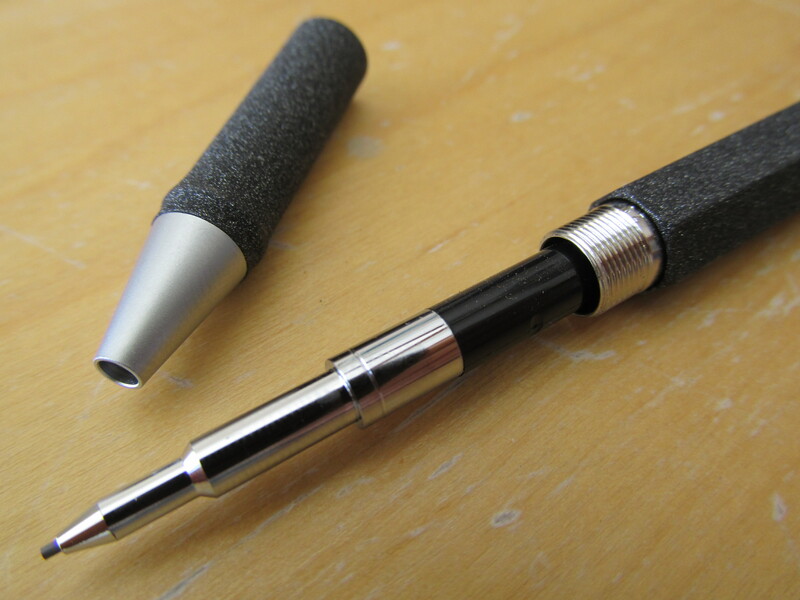 This rOtring may not be the best bargain going but its looks and performance are both top-notch. Posted on 02/21/2015 by Todd	This entry was posted in Pencil, Reviews and tagged rOtring. Bookmark the permalink.